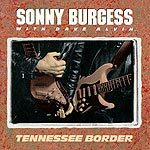 Original Sun rockabilly hero Sonny Burgess' new album captures all the fire and sense of musical fun that was the hallmark of his first trip 'round in the late 1950s. Of course, Burgess was with Elvis, Carl Perkins, Roy Orbison, Johnny Cash and Jerry Lee Lewis when that whole crew stormed out of Memphis' Sun Studios, close on the heels of Chuck Berry, to set the popular music world on its ear with their new music combining the best of country and blues. A few years ago Burgess resurfaced nationally, fronting the Sun Rhythm Section (which also featured D.J. Fontana, Elvis' original drummer) on an excellent album for Flying Fish Records. Except for Lefty Frizzell's "Old, Old Man," most of the songs here are unknown, comprising both originals by Burgess and Alvin as well as covers.